Felony Murder | Chicago Murder, Crime & Mayhem | HeyJackass! 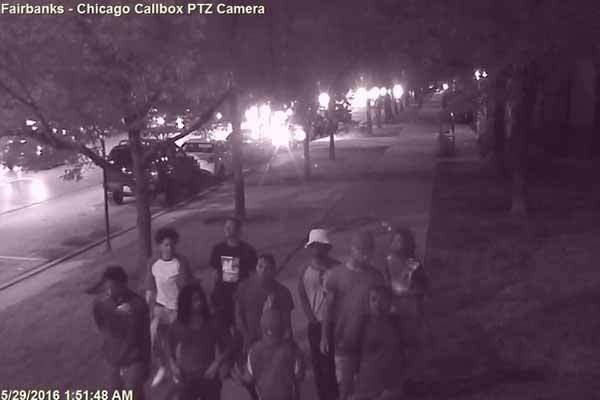 A group of young men turned themselves in to police late Tuesday after their relatives spotted them in surveillance video of a group that allegedly chased a woman to her death on Lake Shore Drive over the weekend. Community activist Andrew Holmes said at least three young men, believed to be in their late teens and early 20s, were spotted in flyers and on television by their mothers and relatives, who “did the right thing” and made sure they went to police to give their side of the story. Fox Chicago reports that five young men were in custody early Wednesday. Depending on the outcome of the investigation, these young lads may find themselves charged with murder because of an obscure Illinois law known as felony murder – persons may be held accountable for any foreseeable deaths that occur during the commission or attempted commission of a felony. Translation – if a group of jagoffs attempts to harass and/or rob others and the victims are killed in the process of fleeing said jagoffs, they’ll be charged with murder and become eligible for a full ride prison scholarship.